Now retired and living in Florida, Bill Schlackman is known for driving qualitative research to achieve a deeper understanding of consumer motivations through the use of experimental research designs, as well as projective and motivational techniques. He also created sensitivity panels which aimed to sensitize a group to a certain issue by repeated attendance and discussion and thus developing a greater sense of awareness and trust between participants. Prior to his military service in 1954, Schlackman worked as a delivery boy. He was asked to collect a package from Ernest Dichter’s Institute for Motivational Research and deliver it to the offices of True Magazine. Schlackman famously opened the package, discovering a report with the title ‘Why men read True Magazine’. After reading the study, he realised that this was something he could have done. He later went to the offices of the Institute for Motivational Research and expressed his interest in joining Ernest Dichter’s team. As he could not get a full-time job with them at the time, he decided to go into business for himself. In 1956, Schlackman went back to Dichter with reports he had written whilst freelancing and a few articles he had written about packaging. He was hired on the spot. In 1960, Schlackman moved to London to set up Ernest Dichter Associates of which he was the Managing Director. Soon after in 1961 he set up his own business, William Schlackman Limited. Being an active member of the MRS and supporter of the AQR, he presented a number of papers at MRS conferences between 1961 and 1986. Peter Cooper who Schlackman called ‘Coop’ worked for Schlackman in the early 60’s as a freelance psychologist interviewer. 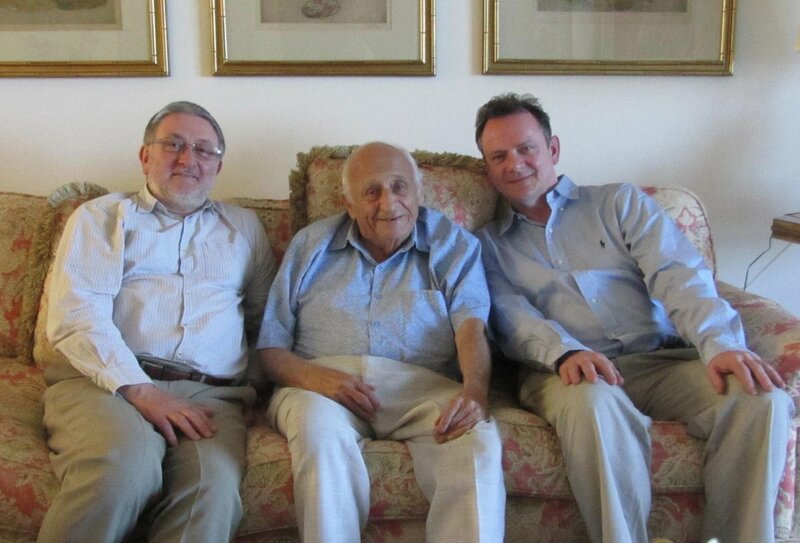 Below is a picture of Bill Schlackman in conversation with Simon Patterson and Lawrence Bailey in Fort Myers, Florida, May 2013. How does the world view Latin American countries? Here’s our new Ad!